Make the most out of your travels with Wyndham Rewards. Whether you are travelling through, doing business or staying for pleasure, make your trips more convenient and comfortable with Wyndham Rewards. 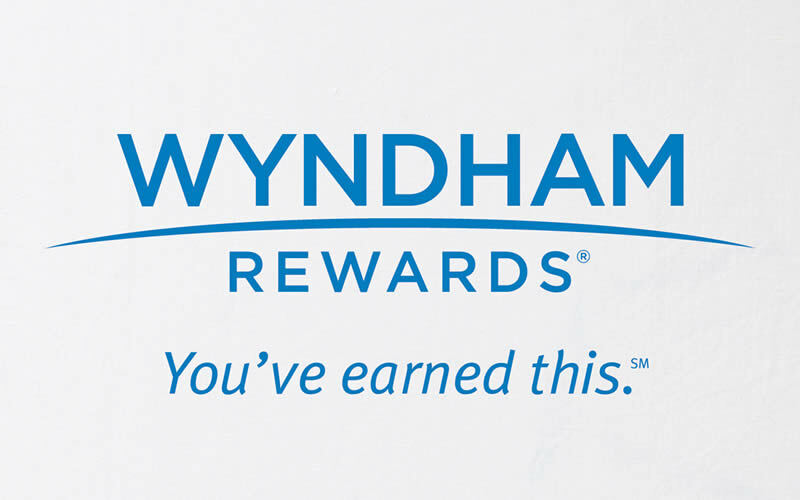 Earn Wyndham Rewards points, airline or partner points. Enjoy free nights, gift cards, air travel, merchandise, and more. 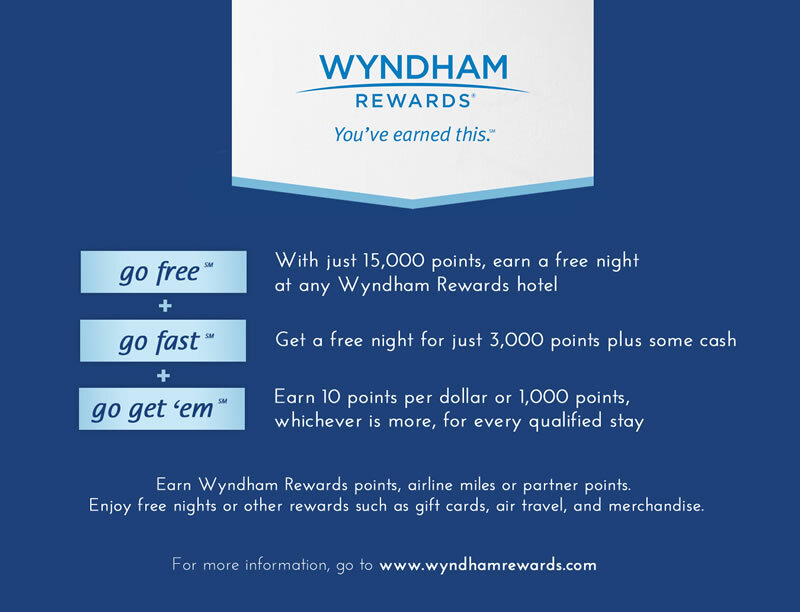 Visit www.wyndhamrewards.com for more information or click here to sign up.